Needless to say (but, like anyone who opens a sentence with this phrase, I will go ahead and say it anyway), there are legitimate and catastrophic problems in Asia right now - from ongoing human rights abuses in China to the recent disasters in Japan. This post is not about those. I'm a humor writer first and foremost, and my focus groups reveal that it's "too soon" to go after those ripe targets with my typically acerbic wit. This post is about some of the other problems, originating in Asia, that are hitting the First World in endless tsunami-like waves of...that's not the best way to put it...that are shaking life in the developed world down to a pile of rubble...no, still not it...that are really inconveniencing wealthy Americans an awful, awful lot. 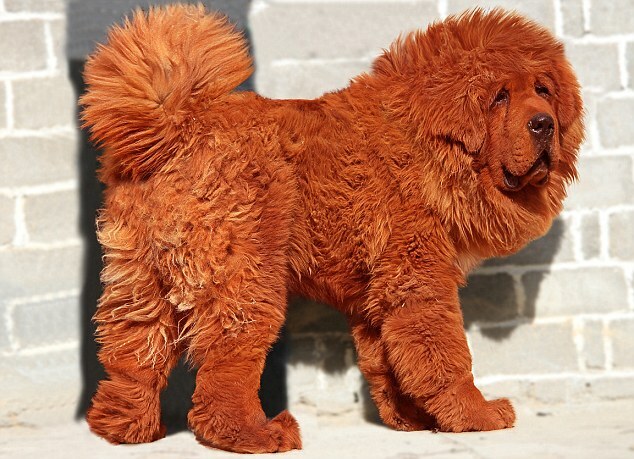 The high price paid for the dog is a sign that the red Tibetan mastiff has become a status symbol in China, replacing jewellery and cars as a way for the super-rich to show off their wealth. I'd quibble with the word replacing in that sentence, as I'm sure jewelry and cars will always have a special place in the hearts of the super-rich; but other than that - an astute observation. What the article does not comment on, however, is the First World Arms Race that this purchase has no-doubt set off. I mean, it used to be so easy for an American or European to prove he had more money than he could possibly know what to do with. If he's going to have to start breeding a stable of 280-lb millionaire dogs just to keep up, then it's a whole new ballgame. It’s thought that what product is available in Japan will be saved for restaurants in that country, and restaurants and distributors in the United States could see lower quality seafood being shipped overseas. I have neither the time nor the inclination to watch the video they embedded, to see what kind of hard-hitting exposé they managed to cobble together out of this material. Richard Simmons Might Be a "Flight Attendant"